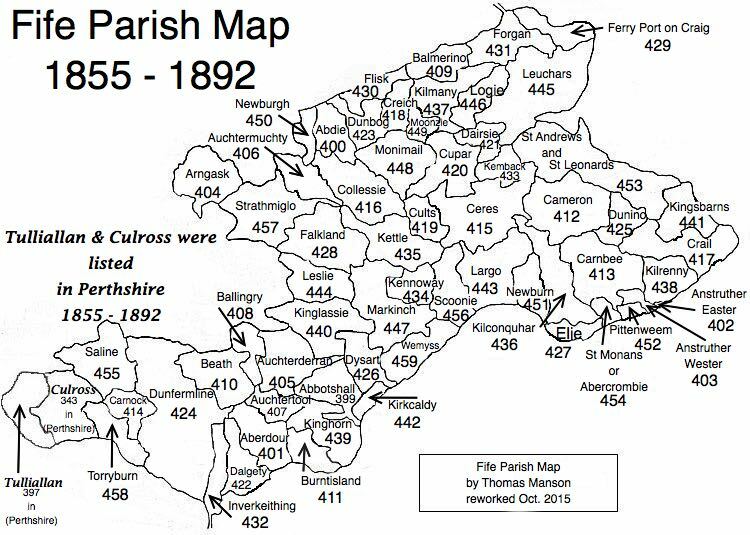 Parish of Cupar – The Fife Post………..for genealogy and historical information. CUPAR, a burgh, market-town, and parish, in the district of Cupar, county of Fife; including the villages of Gladney and Springfield, 9 miles (W.) from St. Andrew’s, and 30 (N. by E.) from Edinburgh. This place is of considerable antiquity, and was noted at an early period for the strength of its castle, erected at the extremity of a high mound extending along the bank of the Ladyburn rivulet. The church was erected in 1785, and has been altered and enlarged from time to time; and another church, called St. Michael’s, has been built. There is an episcopal chapel, a very handsome building; also places of worship for members of the Free Church, the Relief Connexion, Old Light Burghers, Baptists, and Glasites.